Anywhere-access is a major selling point. 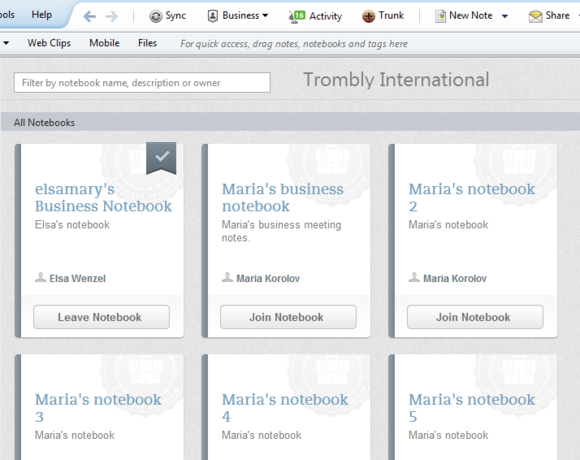 If you're an Evernote newbie, your notebooks will start off as a blank slate. The collective wisdom of staffers will stock your Business Library. Make the list of tags as long as you like. You can make your contacts everybody's business by sharing them with the company. 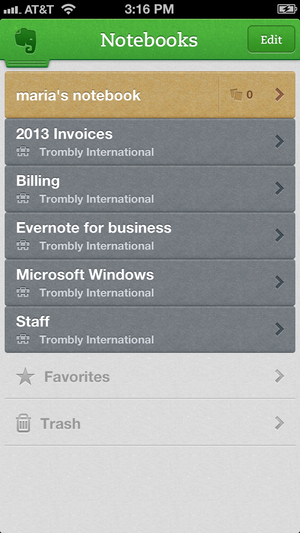 Take advantage of Evernote's character-recognition and voice-recognition powers. 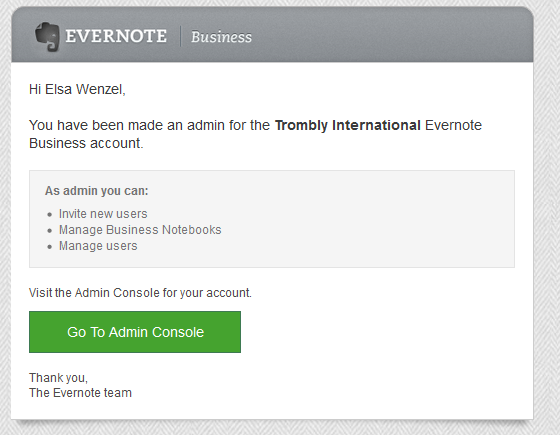 This is just the beginning of the creative ways your company can collaborate and work more efficiently with Evernote.